lechemusic: ¡Clancy – Make Up lechestyle: A.P.C Petit Standard Blue Corduroy Jeans! Classy deep house from UK producer Clancy, perfect for getting into a weekend mood. 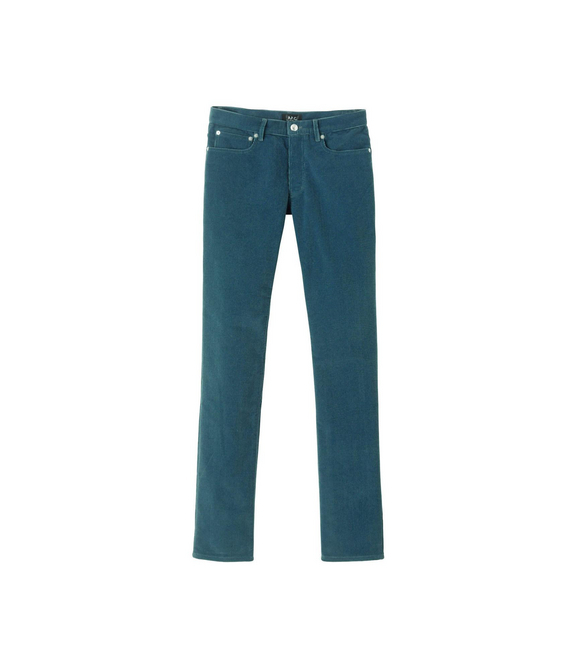 Here is another pair of corduroy trousers in a modern color from favorite brand A.P.C. The exclusive ocean blue dye will be a perfect base for any creative ensemble this fall. lechemusic: ¡MAM – Happiness lechestyle: Nike Tennis Classic AC Vintage! The new Ep titled Happiness by MAM, the UK house duo formed by Miguell Campbell and Matt Hugues, comes loaded with three classic soulful house tracks. It is already out on vinyl but for the electronic version you’ll have to wait a few more weeks. Sunday is most often a day for dressing very casually. Here’s a new pair of vintage Nike sneakers that will better most relaxed ensembles. Try them for example with slim corduroy trousers and a vintage sweater or hoodie.